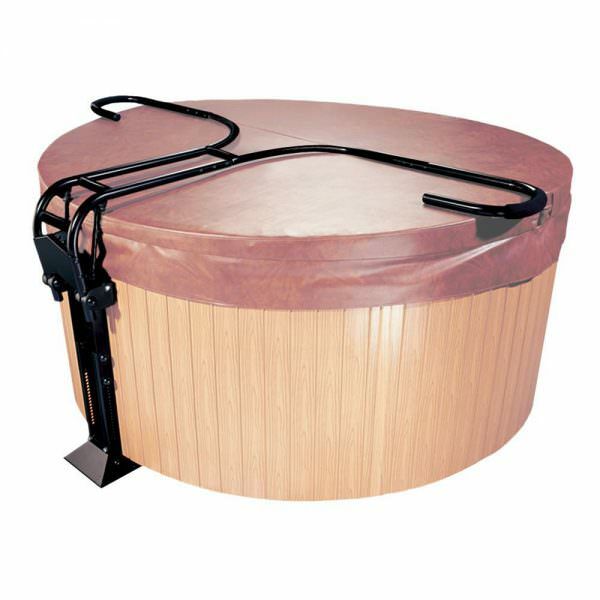 The CoverMate Freestyle hot tub cover lifter is the perfect hot tub cover lifter for round and uniquely shaped spas! The exclusive, adjustable mounting base allows the lifter to slide beneath the spa. This is one of the only hot tub cover lifters in the market that will work for round hot tubs. The CoverMate freestyle is a hydraulic lifter making removing and replacing your hot tub cover an easy, one-person job.